The NAATBatt annual meeting is the premier thought leadership conference for the advanced battery industry in North America. Each year, the NAATBatt meeting brings the leading industry executives together to hear about developments in the business, markets, technology and regulation of advanced battery systems, to do deals, and to form the new personal relationships that will be the basis of future business relationships. The Battery Product Expo is an opportunity for any NAATBatt member or non-member firm to display its products, services and literature during NAATBatt 2019 in the Expo Hall where NAATBatt 2019 will hold all breakfasts, breaks and receptions. For the third straight year, NAATBatt International will offer a special workshop on intellectual property issues relating to advanced battery technology, intended for attorneys, IP professionals, entrepreneurs and executives who deal with intellectual property issues. In 2018 Commissioner Tobin proposed adoption of a “Clean Peak Standard” in Arizona. Under Commissioner Tobin’s proposal, utilities in Arizona would be required to obtain 80% of their electricity from renewables and nuclear by 2050, and deploy 3 GW of storage by 2030. Commissioner Tobin’s proposal would require utilities to deliver an increasing portion of their renewable energy during peak electricity demand hours, incentivizing storage deployment. 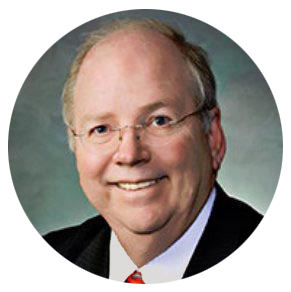 Join us at NAATBatt 2019 to hear about Commission Tobin’s proposal and his work on the Arizona Corporation Commission. The “Clean Peak Standard” is one of the most innovative new ideas in electricity grid planning and may help redefine what “energy efficiency” means. Learn about the impact that this redefinition may have on the energy storage industry.